Disclaimer: Several of the scientists on today’s featured paper are collaborators of this article’s author; however, she had nothing to do with this work. 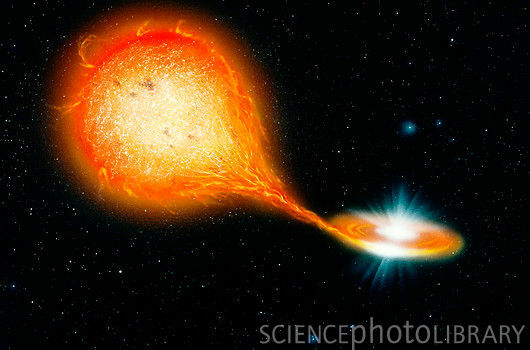 The authors of this work exploited a one-of-a-kind system, called PSR J0737–3039 (the Double Pulsar). It is the only known binary that consists of two detectable radio pulsars, and its fast orbital period (~2.5 hours) makes it the most relativistic pulsar binary we know of. More subtle features (detailed below) make this system ideal for the determination of a pulsar’s sense of rotation. The Double Pulsar system consists of a 22.7-millisecond pulsar (pulsar A) in orbit with a 2.8-second pulsar (B). Magnetic dipole radiation (for a review, scroll to Energetics here) from pulsar A has been shown to introduce a new signal (the “modulation signal”) when A’s radiation hits B’s magnetosphere, which is the subtle feature that enables Pol et al.’s analysis. In general terms, they are able to deduce the direction in which pulsar A is spinning by looking at the modulation signal. If the modulation signal has a slightly longer period than if the pulsar were not rotating, they can conclude that it is rotating in the same direction (prograde) as its orbital motion. If the period is shorter, it implies that pulsar A is rotating retrograde to its orbit. Brave astrobites readers will want to refer to the paper that describes the algorithm the authors used to resample and transform the data. After these transformations, the main analysis occurs by looking at Fourier power spectra. A Fourier transform splits a signal into its constituent frequencies, and the power spectrum shows how much signal (technically, the average signal squared, or power) is present at any given frequency. In short, the scientists perform three tests by looking at the Fourier power spectrum corresponding to prograde, retrograde, and no rotation. The three possibilities are denoted by a value s, which could be -1, 0, or 1 (retrograde, none, or prograde). The signal from A is corrected in three separate trials, once for each value of s, to see which sense of rotation pushes the most power into the frequency of A’s main signal (i.e. which correction works the best). 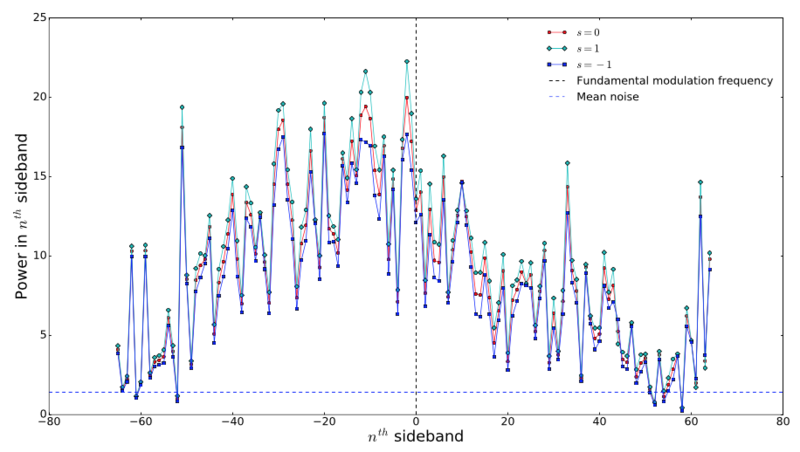 They find that s = 1, indicating prograde motion, is the best correction (see Figure 1). Figure 1. The Fourier power spectrum of the modulation signal for s = -1, 0, and 1. More power appears in the s = 1 trial (cyan) than the other two; therefore, the authors conclude that the pulsar is rotating in the same direction as its orbit (prograde). Figure 3 in the paper. This unique analysis is the first time the sense of rotation of a pulsar has been directly determined, which is an exciting result in its own right. However, this information can be used in several applications. For example, knowing the direction of rotation of a pulsar with respect to its orbit can help inform theories describing the evolutionary history of these systems. Pulsar B is much younger than A, so it might be interesting to know how much the supernova that birthed pulsar B affected pulsar A. The results of today’s paper suggest that the “kick” from B’s supernova did very little to disturb A’s motion. Additionally, the direction of rotation can (along with other measured orbital parameters) help determine the moment of inertia of A. With this information and an accurate mass measurement, it is possible to deduce the radius of the pulsar. 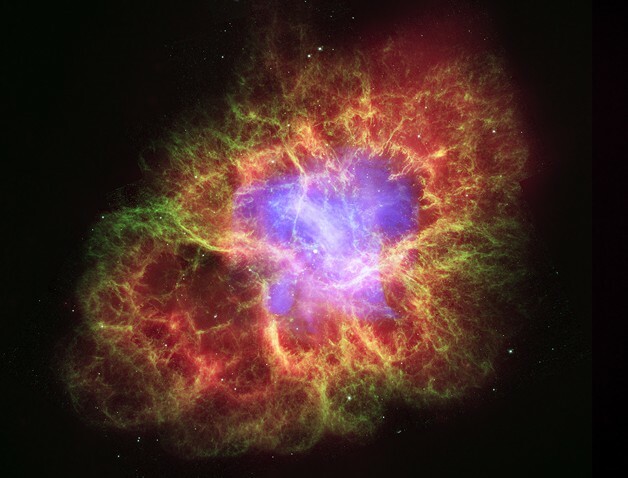 Very little is known about the structure and composition of neutron stars, and a radius measurement can help inform and rule out proposed theories. In a field as strange and complicated as astronomy, it’s wise not to assume what we know and don’t know about the universe. Today’s astrobite reminds us that despite our solid understanding of many complex issues in astrophysics, innovation still continues in understanding basic traits of the systems we study.